In this paper, undoped and Fe-doped ZnO nanorod arrays were grown on glass substrate by a facile hydrothermal method. Structural, optical, and magnetic properties of the prepared nanorods were investigated. Structural investigation clearly showed that the prepared nanorods had single phase wurtzite structure without any secondary phases and the prepared undoped and Fe-doped nanorods were grown vertically. The optical characterization revealed that the optical band gap of ZnO nanorods was decreased by increasing the value of Fe concentration. Furthermore, the formation of diluted magnetic semiconductor nanorod arrays was verified. The origin of room temperature ferromagnetism is explained by the bound magnetic polaron concept. This research has not been submitted for publication nor has it been published in whole or in part elsewhere. 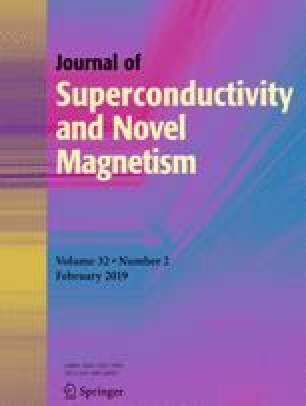 We attest to the fact that all authors listed on the title page of the manuscript have contributed significantly to the work, have read the manuscript, attest to the validity and legitimacy of the data and its interpretation, and agree to its submission to the Journal of Superconductivity and Novel Magnetism.